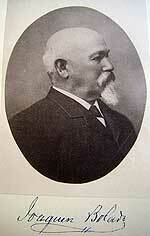 April 6, 1871 – Patent: State of California to Charles Avy. United States of America, State of California. To all whom these presents shall come greeting. Whereas under the provisions of the several acts of the Congress of the United States, entitled "An Act to appropriate the proceeds of the sales of the public lands and to Grant Pre-emption Rights" approved September 4, 1841, 500.000 acres of the Public lands were granted to the State of California and an act entitled "An Act to provide for the survey of the public lands in California the granting of Preemption rights therein and for other purposes approved March 3rd 1853 10 sections of land were granted for the erection of Public Buildings and 72 sections for a seminary of learning also the 16th and 36th sections of each Township in said state also an act entitled "an act donating public lands to the several states and territories which may provide colleges for the benefit of agriculture and the mechanical arts" approved July 2nd, 1862, 150 m. acres of the public lands were also granted to said state, and whereas the legislature of the State of California have provided for the sale and conveyance of said lands by statutes enacted from time to time, and whereas it appears by the certificate of the register of the State Land Office No 592 issued in accordance with the provisions __ law and that Charles Avy is entitled to receive a Patent therefore. Now therefore; the State of California hereby grants to the said Charles Avy and to his heirs and assigns forever the said tracts of land located as aforesaid and which are known and described as follows: to wit; lot no1 in sec 21, lots no.s 1,2,3,4 5 SW 1/4 of NW 1/4, NW 1/4 of SE 1/4, and WE 1/4 of SE 1/4 of sec 28 in township 13SRCE Mount Diablo Meridian containing 313.82 acres taken in lieu of 320 acres together with all the privileges and appurtenances thereunto appertaining and belonging. To have and to hold the aforegranted premises to the said Charles Avy and to his heirs and assigns to his and their use and behalf forever. In testimony where of JHH Haight Governor of the State of California have caused these letters to be made Patent and the seal of the the State of California to be hereunto affixed. Recorded August 14, 1871 10 AM.